You've got the turkey. The DAHLC market has the convenience of ready to go mirepoix (chopped carrot, celery, and onion) to add a base of flavor to almost any dish and your gravy. Avoid the crowds at the grocery store! 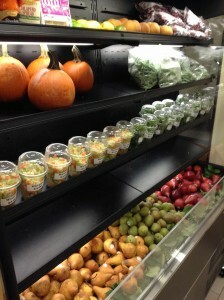 The market also has green beans, cranberries, herbs, potatoes, and a variety of pears among other items.